Donna Jo, a Vice President at Cassidy and Associates, provides clients with expertise on the development and deployment of legislative, regulatory and advocacy strategies. She specializes in food, nutrition and appropriations issues and where these sectors connect with a broad range of policy, budget, and regulatory matters from production, research, health and food safety, to international trade and commerce. She brings in-depth government relations experience to Cassidy having served for 12 years as a senior policy and political aide in the U.S. Senate advising U.S. Senators Mary Landrieu and J. Bennett Johnston, and uses that background to help her clients successfully navigate the legislative process. Her pragmatic approach to solving multifaceted problems and advancing solutions across party lines has enabled her to develop effective advocacy strategies on behalf of her clients. 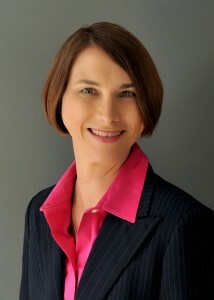 Her diverse client experience includes advising an agricultural cooperative with $2B in consumer sales, facilitating trade and food safety crisis management for a multinational meat packing company, to working with a large community college system on the advancement of research, food and nutrition programs. Having a broad understanding of the legislative and regulatory process and how political hurdles often interfere, enables her to drive success for her clients. Prior to her work at Cassidy, she served as Director of Legislative Affairs for United Fresh Produce Association where she led the produce industry’s International Trade Council and served as a member of USDA’s Agriculture Technical Advisory Committee in Fruits and Vegetables.